So many of our vintage tea parties and garden parties are outside in the summertime – hearing the buzzing is one of the few simple free pleasures left so we’re very happy to shout about them a bit! Hunting wild honey is an ancient practice – but beekeeping itself – farming bees for honey production using traditional “skeps” or hives also goes back as far as ancient Egypt. 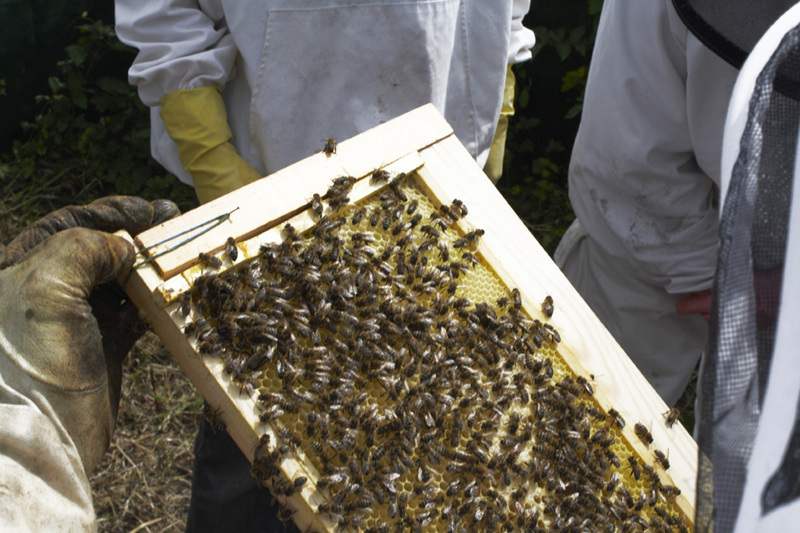 As a tradition, beekeeping has to be one of the oldest there is. 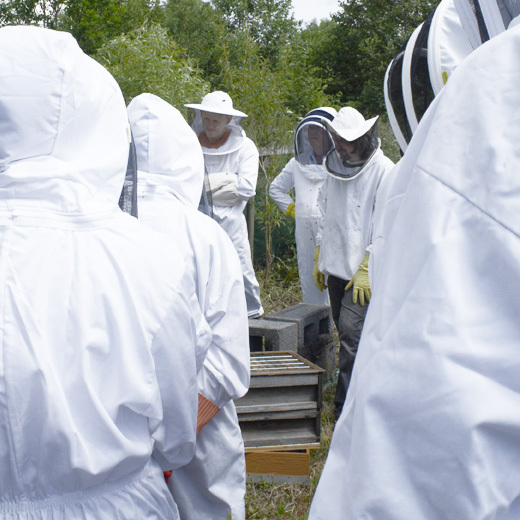 Steve and I got involved in the Dorchester and Weymouth branch – under the tutelage of our friend Jenny Eddisson and the well known Dorset Beekeeper Chris Slade. Chris’s Bee Blog is one of the best to follow for really detailed observation of hives and the problems you might encounter. 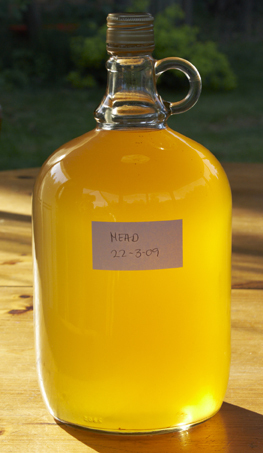 Of course the benefits of beekeeping include all of the gorgeous honey, candles and other products like MEAD. This Vintage was made in 2009 and drunk at the annual beekeepers gathering. We love the golden colour and honey taste. Wax candles are another product from honeycomb and smell gorgeous – but PLEASE don’t use candles in teacups. Beeswax or otherwise, we see this all over the place and it simply ruins the china. Though some people say you can use the teacups afterwards, we’ve not found this to be the case. If we are to conserve our vintage teacup heritage (and still use them for drinking from) then we need to use cups as they were intended (not just for decoration!). Do you want one lump of sugar in your waxy tea or two? If you’re interested in bees or joining a Dorset group to find out more then the Dorchester and Weymouth Beekeepers Association is a great place to start – happy honeying! Guided walk exploring the island’s war time history 11am-12.30pm, 2.30pm-4pm at the National Trust’s Brownsea Island. (Get the ferry from Sandbanks, Poole) Usual National Trust entrance charges. 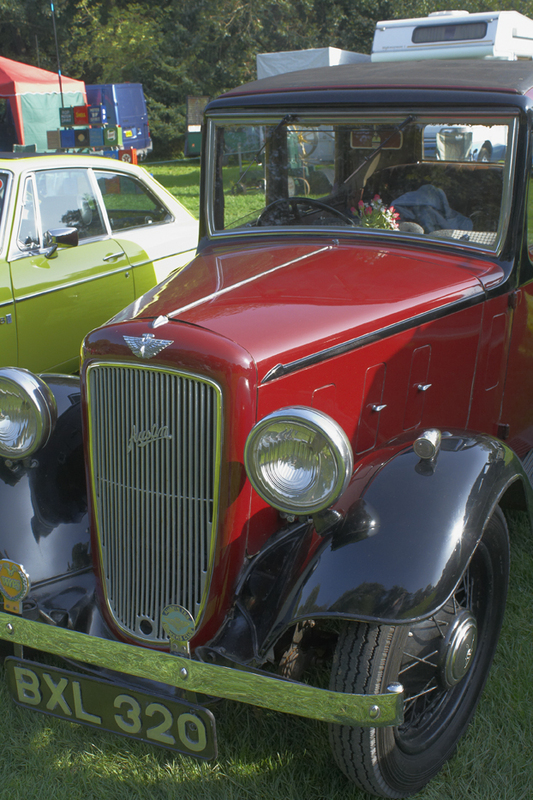 A display of classic and vintage vehicles and a chance to meet club members from the Dorset branch of Transport of Yesteryear. Vintage Motorcycles are also expected at the Pavilion. Sunday 15th May Antiques Fair – Kingston Maurward 9am Unfortunately we don’t know very much at all about this event as the promoters seem not to have put up any information apart from a poster outside the venue – but its at The College of Agriculture, Kingston Maurward, Dorchester. I’ve hunted for a bit more news and apparently there will be Antiques, Antique Furniture Paintings Graphics China Tableware Ceramic Decorative Articles Sculptures Glass ProductsWatches and Clocks. Let us know if you’ve been to one of these and if you have to pay to get in! This is more like it! A Relaxing Vintage Afternoon of Historic Cars, The Rex Trevett Big Band, Cream Teas & Cakes, Pimms and Vintage Market – overlooking the beautiful views of the Bride Valley. Bring a blanket, or chairs and stay the whole afternoon. A CHANCE TO DRESS UP! Come in vintage dress to enter the true spirit, or not – as you prefer !! Something for the whole family. 2 – 5pm £1 Adults, Children Free. Published by annie, on 12th May 2011 at 7:52 am. Filled under: Vintage Activities,Vintage Events,Vintage Local History Tags: Brownsea Island, Dorchester, Dorset, National Trust, vintage cream tea, vintage tea, walk, Weymouth, ww2 • Comments Off on Vintage Events this Weekend!